Barnett, Alice (1846-1901): Best known for her performances in Gilbert and Sullivan operas. 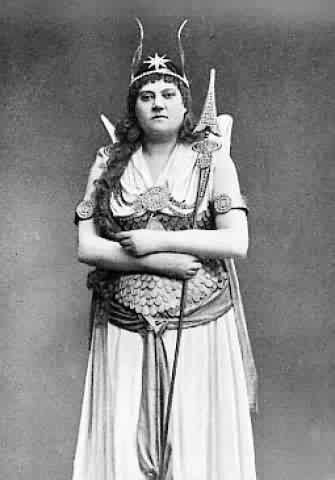 With an imposing physical build, she originated several formidable middle-aged heroines such as Ruth in The Pirates of Penzance and, as shown here, the Fairy Queen in Iolanthe. She appeared in the 1899 Adedlphi season in the temperance melodrama Drink.